Activia “probiotic” (promoting the growth of friendly bacteria) yogurt is a case study of successful marketing, based on its claims about the benefits of its particular live-and-active bacteria. Now its maker is being sued for overhyping the science and duping consumers into paying 30% more for Activia than for other yogurts. For what the company claims, see the Danone website. Dannon, of course, rejects the charges. To complicate the picture, Dutch investigators report the disappointing results of a clinical trial of probiotics in treatment of pancreatic cancer; the death rate was higher among study participants taking probiotics. Somehow, I doubt this had anything to do with the probiotics but it does suggest a need for caution in interpreting studies of benefit as well as risk. USDA’s new WIC standards: a great improvement! 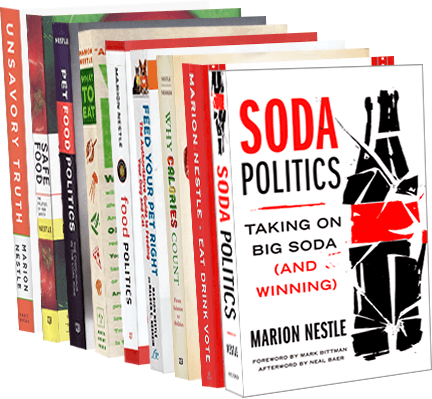 Eating Liberally Asks Marion: is the “obesity epidemic: a myth?